Our Coach Tours are an excellent option for people of all ages who wish to go sightseeing without the hassle of driving. At our Chesterfield Minibus Hire, we have an excellent team of drivers who will assist you in getting to Sitwell Museum and other popular destinations on time. 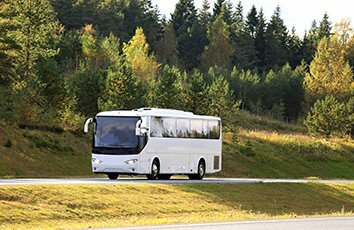 With our, you can choose from a variety of coaches to meet your needs. Each coach is regularly checked in order to prevent and eliminate problems on your journey. Our qualified automotive technicians are dedicated to their job and you can trust that your trip to Chesterfield market will go without a hitch. Chesterfield’s flea market is the place to find interesting and unique items. You may even find a hidden treasure or two on your trip there. The area is also home to a farmer's market where you can find Derbyshire honey or even enjoy delicious homemade cakes. Let us take you there on the Second Thursday of every month. Our Coach Tours are an excellent way to have quality time with your friends or family. At our Chesterfield Minibus Hire, we take pride in providing you with buses that deliver a relaxing experience. Spend a day at Bolsover Castle, where you will find an intriguing place, offering a wide variety of photo opportunities. The ruined Terrace Range is an interesting part of this fantasy house while the enchanting Venus Garden will help you to relax.